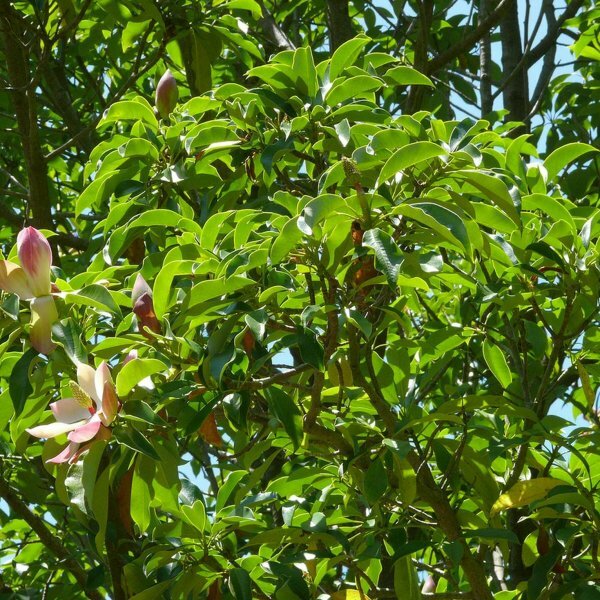 This rare tropical and stunning member of the Magnolia family is evergreen tree getting between 25-30 feet and 10' to 15' wide. It is upright-oval in form and has attractive grey-brown bark. The leaves droop gracefully along the stems and are up to 10" long. 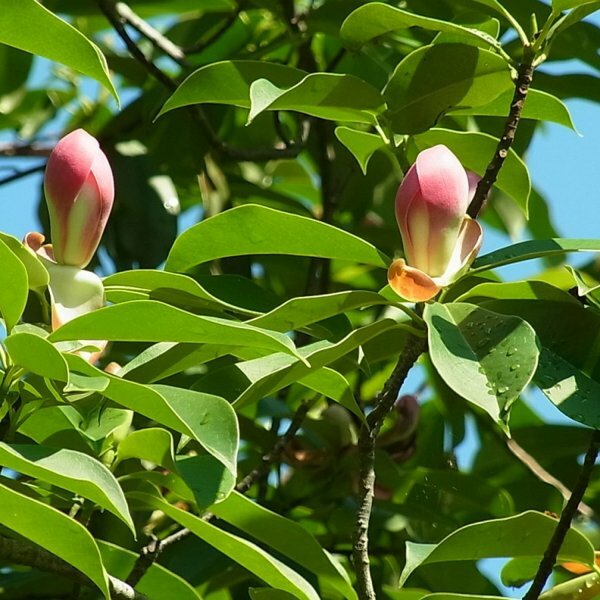 Pink flower buds appear late fall to winter and open anytime from February to July, depending on climate. Has huge fragrant creamy white magnolia-like flowers cream or pink-tinged within, pale pink to red without. 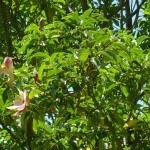 Spikes of purplish red fruits later decorate the plant. Grow in humus-rich, moist but well drained soil in full sun to light shade. 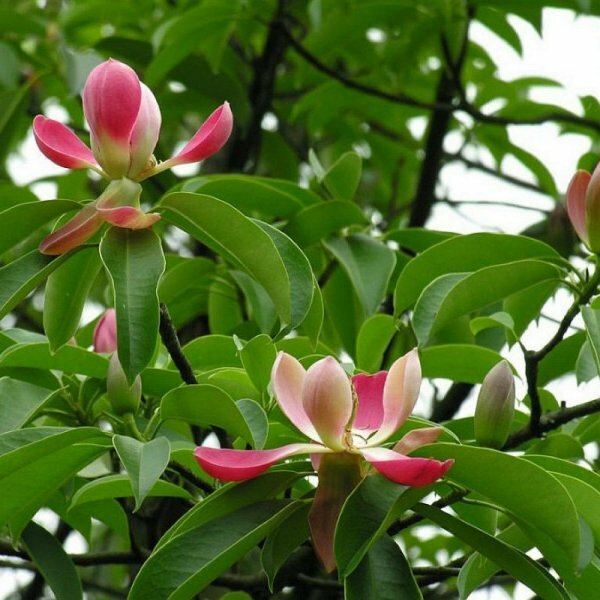 Requires a very warm, sheltered garden or can be grown as a conservatory plant if moved inside in the winter. Germination 1. Soak the seeds in water to soften the coating. Change the water every day for 3 or 4. Use your fingers or rub between paper towels to wash the coating off. 2. Stratify the seeds in the refrigerator for 30-40 days in a damp medium (steriule sand, peat moss or damp paper towels) in a plastic tub or bag and then bring them out into room temp. 70 degrees F (20-22 C). Or plant them outside.